Follow along as we create the Center for Teaching’s new home, located at the corner of 19th & Edgehill Avenues. 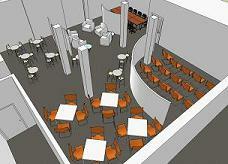 Architectural mock-up of Workshop Space. Workshop Space before construction. Workshop space during Construction. 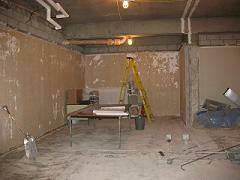 Workshop space prior to furniture installation. Our Workshop Space has flexible furniture and moveable workwalls which allows the space to be used for a variety of purposes. 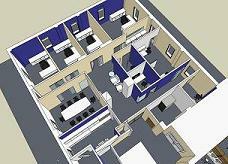 Architectural mock-up of library, reception area, and breakroom. Library and reception area prior to construction. Library and reception area during construction phase. 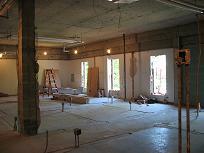 Library and reception area prior to furniture installation. The Center for Teaching library offers visitors a quiet, inviting space to reflect on their teaching and boasts a collection of over 700 books. 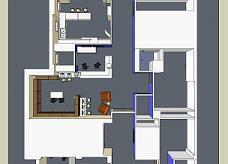 Architectural mock-up of office area and conference room. 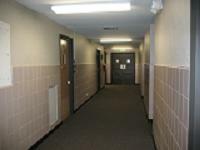 An office area before construction work began. 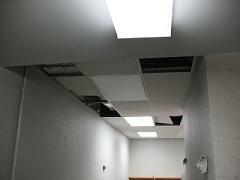 Office space during construction phase. 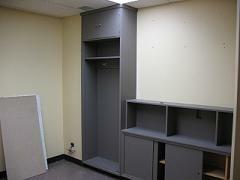 Office space prior to furniture installation. A completed office area.